Complete with 5 Torx bits. ForgeFast Organiser Pro Grab Pack 1000 Pc is rated 4.9 out of 5 by 36. Rated 5 out of 5 by nakedragon from good range of screws which perform well I wanted a range of screws to leave in our sttic caravan so I had the right size for the many odd jobs that I seem to do when on site. 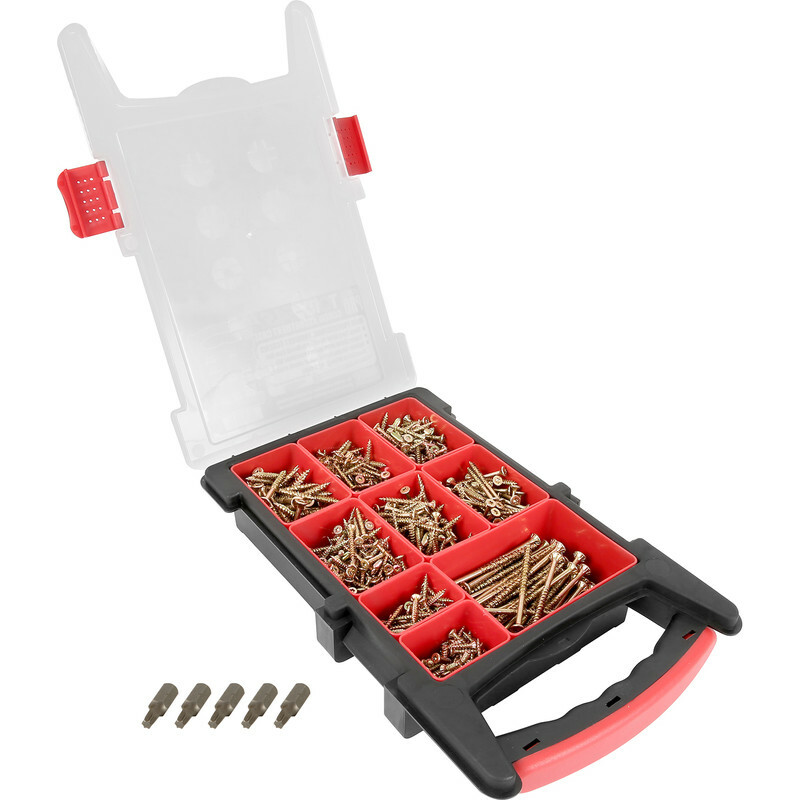 Rated 5 out of 5 by Pob49 from Well presented storage pack It's really frustrating when you can't easily find the correct size screws when you're busy and want to finish the job. These screws come in a clear fronted plastic pack. When the screws are getting low just refill the convenient plastic storage trays. Rated 5 out of 5 by Boatyard from Mr Good product that does what I want it to.